***this is a sticky post, please scroll down for new blog entries, thank you! Ashamed as I am to admit it, I am one of those parents who sometimes allows the iPad to babysit my daughter. It wasn’t something I planned or premeditated, it just sort of happened little by little. An hour became two until one day, I noticed that it was all she ever wanted to play with. Toys were cast aside and apps were being downloaded instead. It’s something I’m not happy about. Childhood is precious and it’s a shame if all her early memories are of solitary afternoons with a tablet. 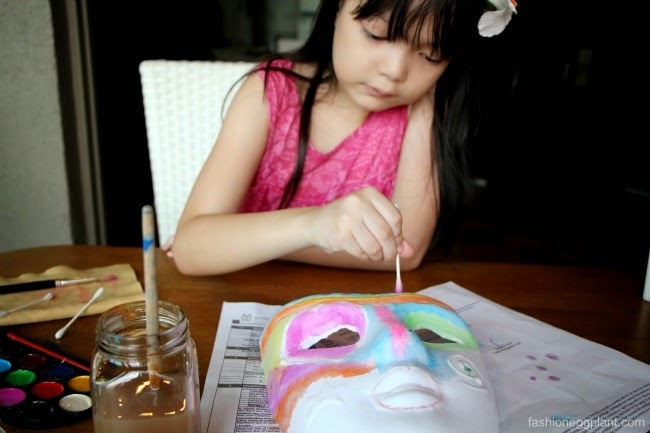 However, we live in a condo that doesn’t have a common area which makes thinking up activities to keep her busy a bit challenging and very limiting. Big thanks to Breeze for thinking up the #SigeSabado movement. 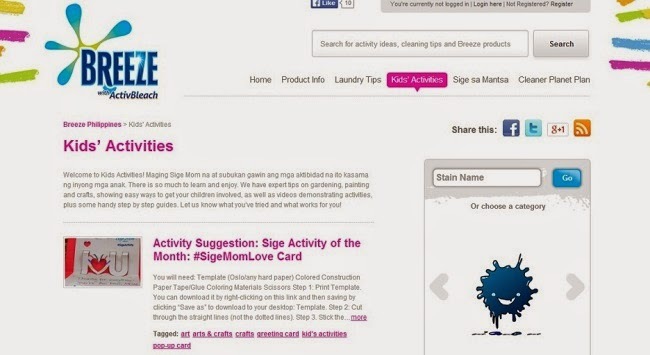 The Sige Sabado movement encourages moms to dedicate Saturdays for the kids. 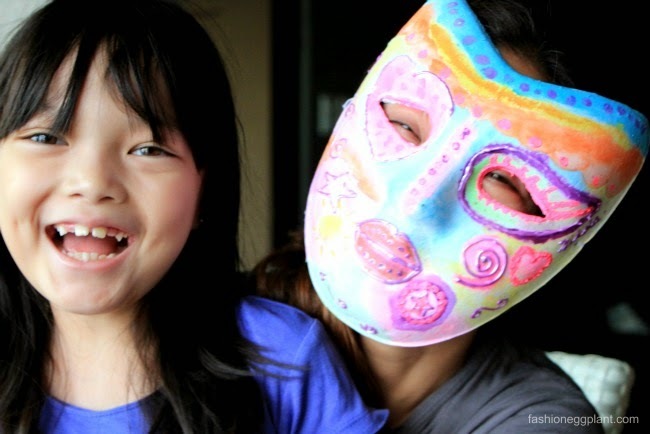 It’s a chance for moms to bond with their children thru fun activities that cultivate the imagination. It’s okay to experiment and get dirty because this is how children learn. It is these types of experiences that instill values in them and create precious memories that they will cherish forever. 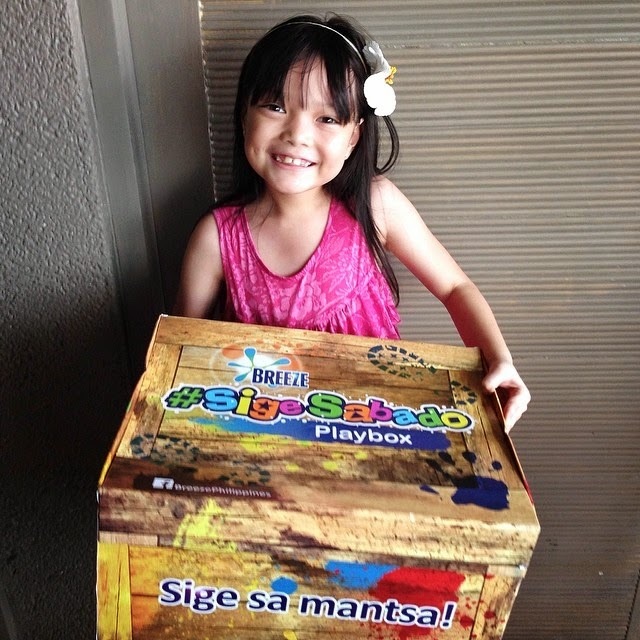 The #SigeSabado movement starts with this large Sige Sabado box that contains 8 activities for 8 Saturdays. Enough to last the remainder of Nikola’s summer vacation! But by the looks of it, we’ll be done with the entire box in a week. 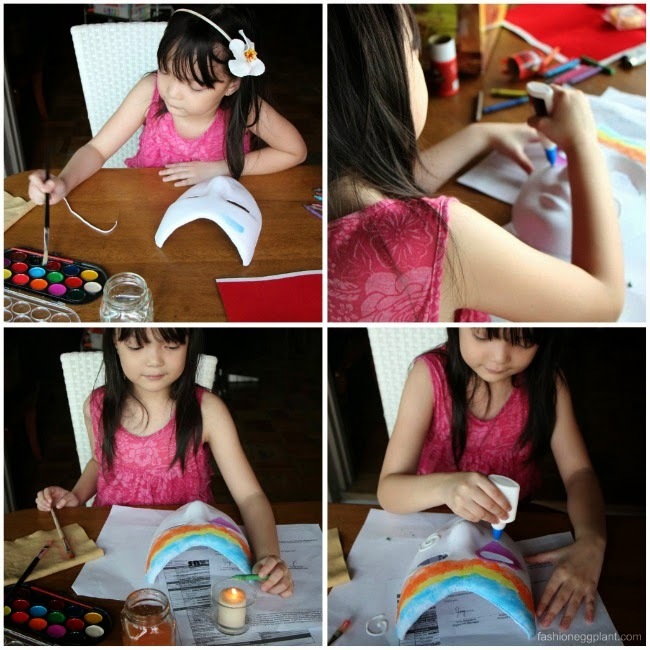 After just 3 days, we’re already on our second activity, good thing there’s a lot more DIY ideas to download at www.breeze.com.ph, from crafts to gardening! I was amazed at what she came up with without any help from me. Her ideas were unique and very creative. I was impressed, immensely proud and happy to see her interacting, participating, and concentrating so much on something she really enjoyed aside from her iPad. My heart was fluttering but since it wasn’t a Saturday or a Sunday and I saw how absorbed she was, I stepped away for a little while to finish some work I had to do. In a matter of a few minutes, I witnessed a total turnaround. She began to lose interest…fast. Instead of working on her mask, she started to move things around on the table and I could see that she wasn’t as into it anymore. The realization hit me like a ton of bricks. These kids don’t really care what they do as long as you do it with them and give them your full attention. These activities entertain us while we entertain them and make them feel content just by being by their side to guide them on. Living in a restricted environment such as a condo isn’t an excuse to not be able to have wholesome fun with your kids and the Breeze Sige Sabado box proved that to me over and over again with every smile and every activity we undertook. As a parent and consumer, I am extremely grateful that a brand goes out of their way to make lives better for all of us. I am definitely looking forward to more Sige Sabados with Nikola from now on. Everything else will have to take a backseat. Visit the Breeze Facebook Page for more about great Saturdays!